His The Spirit of the Laws was a guide for our Founding Fathers when they wrote the Constitution. 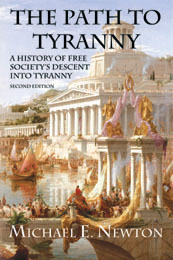 In my book, The Path to Tyranny: A History of Free Society’s Descent into Tyranny, I frequently quote another influential Montesquieu book, Considerations on the Causes of the Greatness of the Romans and their Decline. I think you’ll enjoy these quotes, as they are just as relevant to today as they are to ancient Rome. I’ve added my own comments relating them to today’s situation. 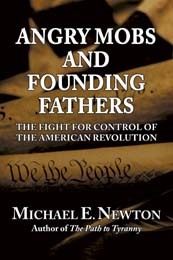 American’s Founding Fathers established the same balance of power between the people (House of Representatives), the more exclusive Senate (representing the states), and the President. It added even more checks and balances with the Supreme Court and federalist system, reserving most of the power to the people and states. Unfortunately, during wartime, and sometimes even without wars, the United States has given Presidents extraordinary powers to defend the country. Though this is done in the best interest of the republic, it often makes liberty more difficult to maintain. A great example of this is the Patriot Act. The theory behind the Patriot Act, to monitor and catch terrorists, is noble and worthwhile. However, the rights of all citizens are infringed upon by it (see the Know Your Customer rules for financial institutions). Instead of giving to soldiers, the government today takes from the citizens and give to special interest groups. Unions, teachers, government employees, and welfare recipients receive from the government at the expense of private businesses and their employees. These takers have become greedy and government employees now receive higher pay and better benefits than those in the private sector. The United States was founding as a country tolerant to all religions. But in recent years, the government along with liberal groups such as the ACLU have been banning religion from government institutions. This would be of no concern had the government remained small. But with government everywhere, most especially in our schools, this ban on public religion has the effect of amputating all religions. What Rome did one religion at a time, the United States is doing all at once. Rome had experience a series of civil wars, first between Julius Caesar and the Senate led by Pompey, then between the republicans led by Cicero against the Second Triumvirate of Mark Antony, Octavian, and Marcus Aemilius Lepidus, and finally between Mark Antony and Octavian. After years of unrest, all caused by the Roman’s desertion of their republican ways, they were happy to have order restored, even if it meant “a durable servitude” to a dictator. The American people are unlikely to put up with obvious and damaging law breaking by the President or other politicians. But they have the complexity of the law to hide behind. Most recently, President Obama has been accused of bribing potential congressional candidates not to run for office, a direct violation of the law. The administration does not deny that actions were taken to convince these people not to run for these offices, but hide in the complexity of the laws, arguing that no jobs were actually offered, only suggested, or that they were offered non-paying positions which are not real benefits. More damning has been the misuse of the IRS by numerous Presidents (FDR, JFK, Nixon, Clinton) to defend allies and attack enemies. In the United States, we do not tolerate outright tyranny, so the powerful do it in secret under the cover of the laws which they write and defend. The first and foremost goal of a republic is to maintain itself. A republic is of no use if it cannot survive. The United States has become a global policeman and source of funds for every country about to fail, even though the U.S. is deep in debt and running huge deficits. The United States can no longer afford overseas adventures (even if we could afford them, one could argue against them too). I never did understand the premise behind fighting the Spanish in the Philippines back in the Spanish-American War or the reasons for fighting in World War I. The primary goal of our republic should be to survive and protect our life, liberty, and property, not to bail out Greeks for spending more than they have or to defend Japan from North Korea (Japan can afford to do so for themselves). Though emperors no longer execute the rich to steal their wealth, big government still verbally attacks the rich and threatens to throw them in jail (and has done so many times) if they do not give over a large portion of their wealth to the government, a small portion of which is given over to the needy while the vast majority goes to bureaucracy and graft. Not only does the government “confiscate” much wealth through taxes, politicians shake down businesses for even more. With the power to shape legislation for or against them, businesses have little choice but to fork over billions of dollars to political campaigns, lobbyists, and friends and family members of politicians to avoid damaging legislation against them. The wealthy actively avoid taxes by setting up offshore accounts, moving overseas, and creating trusts. Unlike the Romans, who had no free societies to flee to, Americans can leave the United States and live in other free countries, taking their wealth with them. Unfortunately, this harms the United States. Hopefully, we will realize the harm we are doing to ourselves before all the wealthy flee, leaving the U.S. with a depleted capital base but enlarged welfare society.